Port Huon is a small community with big, sweeping views of the Huon River, Bruny Island, D'Entrecasteaux Channel and the Hartz Mountains. Port Huon was once a busy trading port and the destination for international apple boats that transported and exported the region's famous apples to the world. The original port remains and is a quaint reminder of the glory days of apple growing. Today, Port Huon is a departure point for boat cruises up the Huon River and is the site of some of Tasmania's successful Atlantic salmon farms. It's also a great place to stop and take in the views. The Kermandie Hotel is the jewel in Port Huon's crown and has been providing food, drink and a rest stop for travellers since 1932. The hotel also has its own marina - perfect for boating types to rest their vessels. Port Huon and nearby Geeveston are also the gateway to the Hartz Mountains National Park and the south-west wilderness, where great walks and stunning views of remote mountain ranges await. A range of accommodation is available in Port Huon, from hotel rooms and self-contained cottages to motel and bed and breakfast options. 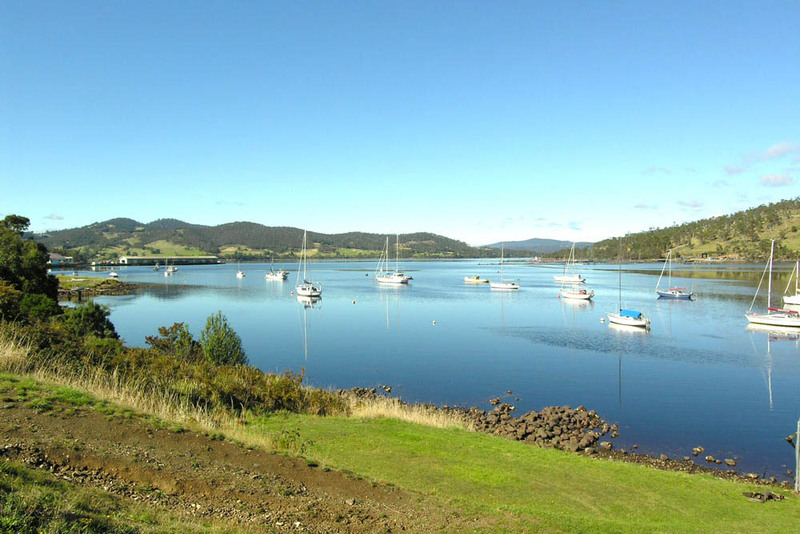 Port Huon is around a 50-min drive (56 km) south from Hobart.